In a new study into periodontal disease, scientists have been able to combine biological and mechanical techniques to repair and regenerate bone and gingival tissue. 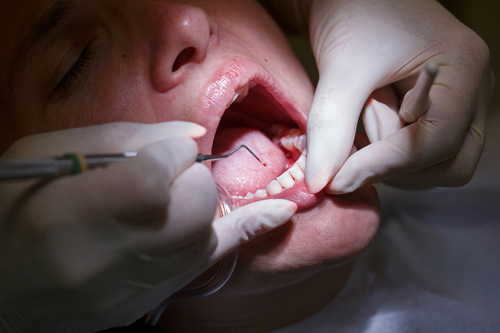 They surgically implanted a thin, film-like membrane between the inflamed gingivae and tooth, which blocks the infection from the gums and delivers antibiotics, medication and growth factors to the gingival tissue. Co-author of the study, Alireza Moshaverinia says: "We’ve determined that our membranes were able to slow down periodontal infection, promote bone and tissue regeneration. We’ve also figured out a way to prolong the drug delivery timeline, which is key for effective wound healing. We see this application expanding beyond periodontitis treatment to other areas needing expedited wound healing and prolonged drug delivery therapeutics." Nigel Carter, Chief Executive of the Oral Health Foundation, describes the impact of tooth loss and believes the research could be extremely promising. He said: “Millions of people across the world lose teeth from periodontitis and it can have severe bearing on everyday life. Missing teeth can make eating, smiling and speaking more difficult.